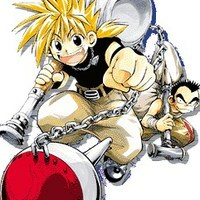 Ginta Toramizu is a second year student at a junior high school. He is constantly dreaming of the same dream about an imaginary world for a lot of times. He finally got to the world through a strange device known as "ARM". This manga tells of his adventures in the imaginary world.